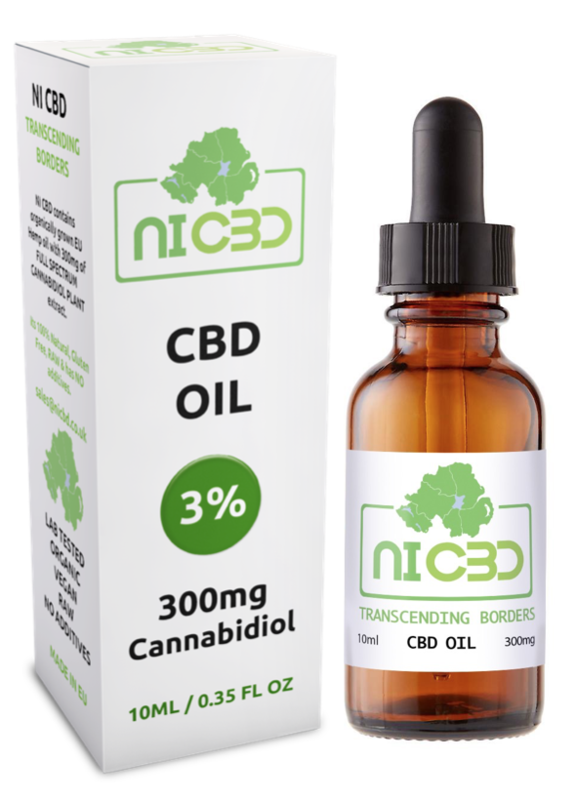 NI CBD contains organically grown EU Hemp oil with 300mg of FULL SPECTRUM CANNABIDIOL PLANT extract. Its 100% Natural, Gluten Free, RAW & has NO additives. SUGGESTED SERVING: 1 serving is 10 drops (15mg CBD) to be taken 1-3 times a day. Bottle contains 20 servings approx. % PER SERVING: Hemp oil * Cannabidiol 15mg * Cholesterol 0g – 0% Sodium 0g – 0% Carbohydrates 0g – 0% Always consult a medical professional before modifying your diet or using any new product.